Nerdlouvia 2018 is Louisville’s only tabletop gaming convention focused entirely on gaming. This year, we’re taking over Spalding University’s historic Columbia Gym at 824 S 4th Street in Louisville. The convention will run from 10:00 AM to 1:00 AM on Saturday, December 8th and from 10:00 AM to 7 PM on Sunday, December 9th. Come play your favorite roleplaying, board, and card games in a beautiful space. We will be providing a convenient cash bar and have food trucks lined up outside to make sure you can recharge and get back to gaming. Just like last year, Nerdlouvia will offer up a mix of scheduled events and games on demand. Most importantly, we’re working with local nerds to bring you the best and most fulfilling gaming experience possible. If you are into role-playing games, we’ll be offering popular games like Dungeons & Dragons, Pathfinder, Starfinder, and Call of Cthulhu. We’ll also have a slew of indie and storytelling RPGs like FATE, Dread, and Fiasco. For board gaming fans, we’ll have a large selection of games on-site for guests to borrow and play, and we’ll offer up some scheduled learn-to-play events that you will be able to pre-register for. Of course, the popular Board Game Swap table will return as well, allowing you to trade in the old games and books you no longer want and walk out with new-to-you games to introduce to your friends. 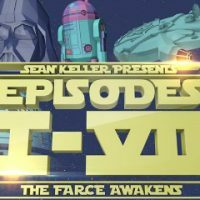 Nerd Louisville is a charitable non-profit. Our mission is to make Louisville, Kentucky the most awesome nerd city in the universe. 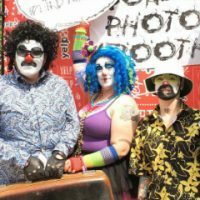 We do that by fostering a sense of community, providing a hub to connect local nerds, and by promoting Louisville as a nerd destination. We also seek to educate, inspire, and empower local youth. In pursuit of our mission, we created the Next-Gen Nerds initiative; an initiative focused around the youth in our community and helping to cultivate the next generation of nerds in and around Louisville. Nerdlouvia is our biggest fundraiser of the year, and most of the money we raise goes straight into our Next-Gen Nerds fund. You can learn more about Next-Gen Nerds by clicking here! On Friday, December 7th, 2018, we’ll be throwing a special VIP party for VIP and VIP+ Ticket holders . 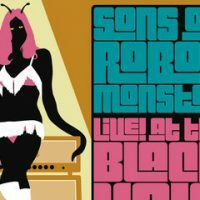 Sons of Robot Monster will rock your world with nerdy tunes, the Kalashnikov Clowns will delight you with Russian clown-troupe style comedy, Sean Keller will make you laugh with his one-man Star Wars act, and hip-hop locals Touch A.C. w/ DJ Frames Danco will crank out nerd rap you can dance to. 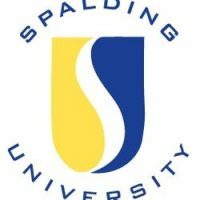 Spalding University is a private, liberal arts institution with a commitment to compassion & a deep connection to community. It is the home for students who want to earn a degree while engaging and serving the community. Spalding University puts compassion into action every day with their mission-driven focus. You can learn more about the University by visiting their website. 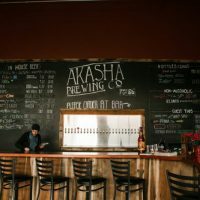 From humble beginnings, Akasha Brewing now brews 15 barrels at a time, and serves up to 15 of their own beers, brewed on-site, at their taproom. Akasha’s East Market Street taproom is the perfect place to relax and have a few pints from their 24-tap draft wall. The taproom also features board games, arcade games, TVs, Outdoor seating, and a 100-inch video projector. 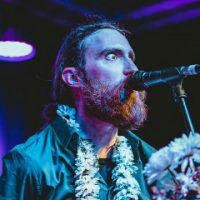 Nerdlouvia 2018 is an 18+ Event!